In winter, all the seeds are growing away under the earth preparing to come into view in spring. So take a tip from nature and spend this time fostering your dreams so they can bloom in the coming year. Your inner-world needs to be nurtured and truly rooted in your life before it can manifest in your outer-world. And it will manifest when it has been truly nurtured! Relish in your inner world, fostering your hopes, dreams and intentions for 2015 and beyond! 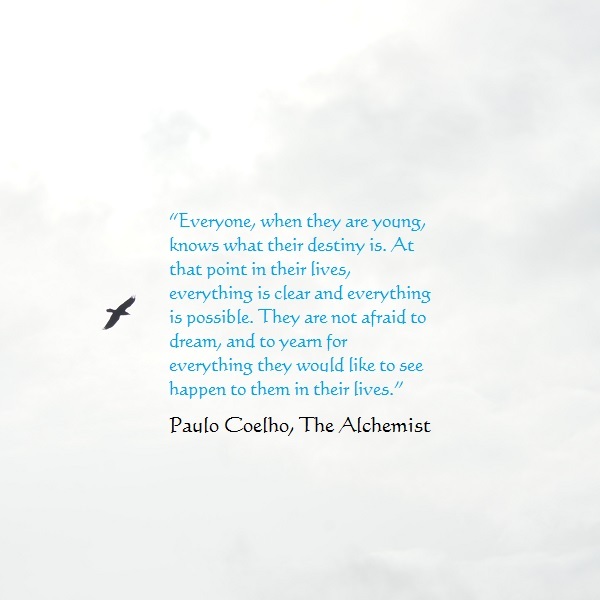 This entry was posted on December 4, 2014 by laura kilty in Inspiration and tagged Destiny, Dreaming, dreams, empowerment, Manifesting, Paulo Coelho, Quote, The Alchemist.